Colder temperatures can freeze pipes, creating disastrous property losses and wreaking havoc on your life. Frozen pipes can lead to expensive damages and depending on the extent of the damage it could force you to temporarily close your business resulting in loss of income. Systems that are at risk of freezing in colder weather include fire protection equipment and piping, heating, ventilation, and air conditioning equipment, compressors and piping, water and sprinkler mains, valves, and sanitary systems. 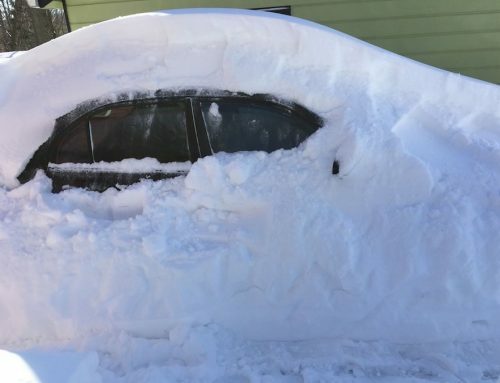 It is not just the colder states that are affected, moderate climate states can be caught unprepared and left vulnerable to extreme winter weather losses. Certain types of buildings are also more susceptible to freeze claims. These include schools, offices, churches, apartment buildings, vacant buildings, and buildings that are more than one story tall. So how do you prepare and prevent this from happening? Some general tips to prevent freeze claims include repairing and sealing cracks around windows and doors that can allow cold air to reach indoors as well as sealing around pipe openings to prevent cold airflow. You should also remove, drain, and store outdoor hoses and close inside valves that supply outdoor lines and open outside valves during winter months so that remaining water can expand without breaking pipes. Make sure that you know the location of the shut-off valve for your water supply. Inside you should keep the thermostat above 55 degrees, even when traveling, open kitchen and bathroom cabinet doors to give indoor plumbing access to warmer air and allow faucets to drip. Lastly, you should monitor water-based fire protection systems. Fire protection equipment including water mains, extinguishers, hydrants, sprinkler systems, and post indicator valves can be extremely vulnerable to drops in temperature during severe winter weather. Post indicator valves are cast iron vertical indicator posts designed to operate the control valve of an automatic fire sprinkler system. If a fire occurs, frozen equipment could result in insufficient means to contain the fire. Verify that all fire protection equipment is operating effectively, and if it is brought offline or damaged, have a qualified fire protection contractor repair the system and place it back into service. Plan for maintenance personnel to manage and monitor buildings during cold snaps, making more frequent visits to buildings or areas of buildings not normally occupied. Be certain that hydrants and their locations are properly marked so they may be easily located and cleared after a heavy snowstorm. Inspect all areas along the perimeter of the building to ensure they are sealed and there are no drafty areas. Drain wall hydrants and fire pump test connections that may be exposed to freezing. Verify that underground water mains have adequate depth of cover. For water mains that do not have adequate cover, can they be isolated and shut off to protect from freezing? Check packing on post indicator control valves for leaking, and repair as necessary. If fire pump suction is from a reservoir, make certain that the in-flow pipe is below the frost level (below grade) and deep enough in the water to prevent ice clogging the intake. Provide heat for dry-pipe sprinkler system enclosures. Make sure space heaters are in good operating condition. Test solutions in all anti-freeze sprinkler systems and add anti-freeze as necessary. Inspect and maintain all sprinkler systems in accordance with the National Fire Protection Association (NFPA 13) and local standards. Winter storms frequently cause an electrical power failure, which in turn can disable your heating system. 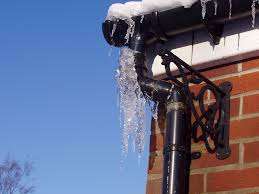 If this happens, water-filled piping (such as sprinklers, domestic water pipes and heating, ventilation and air conditioning systems) may freeze and rupture. It is important to assess the potential for this hazard. Inspect safety shutoff valves and cutoff switches on combustion equipment such as rooftop units, boilers, and ovens. Have qualified contractors or staff properly inspect heating, air-handling units, and space heaters. Assure that space heaters are monitored for fire safety. Review the location and storage of flammable liquids such as propane, gasoline and diesel fuel. If you suspect that you do have a frozen pipe, you should call a qualified plumber immediately. Shut off the main water valve and leave the faucets open until the repairs are made. If a pipe has burst, turn off the main water valve immediately, take steps to prevent further damage, and call your insurance company to file a claim. The best way to prevent a loss is to prepare and make sure that you are taking steps to prevent your pipes from freezing. You can find a checklist for business owners here from Cincinnati Insurance Companies. 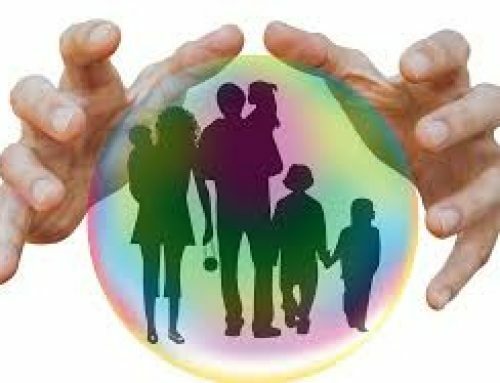 Another good step to take is to contact your insurance agent and make sure that your coverages will cover you in the event of a loss. Give Gannon Associates Insurance a call today at 844-GANNONS and speak with an agent to make sure you are covered. This loss control information is advisory only. The author assumes no responsibility for management or control of loss control activities. Not all exposures are identified in this article. Contact your local, independent insurance agent for coverage advice and policy service. 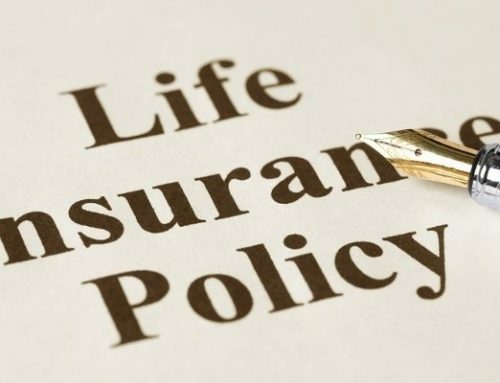 My Term Life Insurance Policy is About to Expire… Now What?